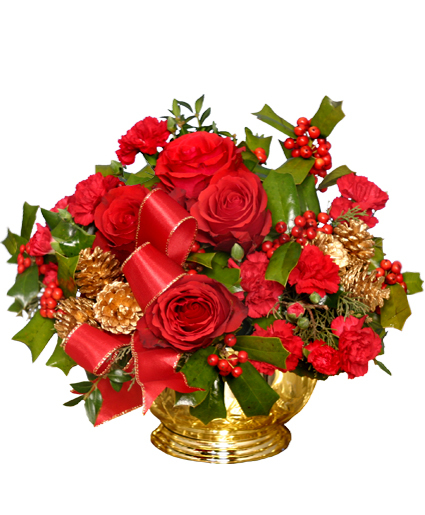 Accented with holly berries and gold pine cones, this festive arrangement is a beautiful way to spruce up the holiday dinner table. 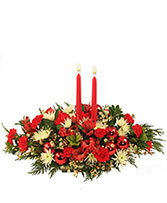 Let Bouquets By Christine send smiles from across the miles to all those you love and miss this Christmas. 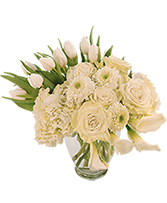 Call direct or order a gift of flowers online today! 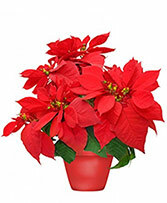 Warmly toast the holidays with a bright red poinsettia plant. This traditional favorite brings good cheer that will last throughout the winter holiday season. Call us or order online to share the magic with loved ones this holiday season!